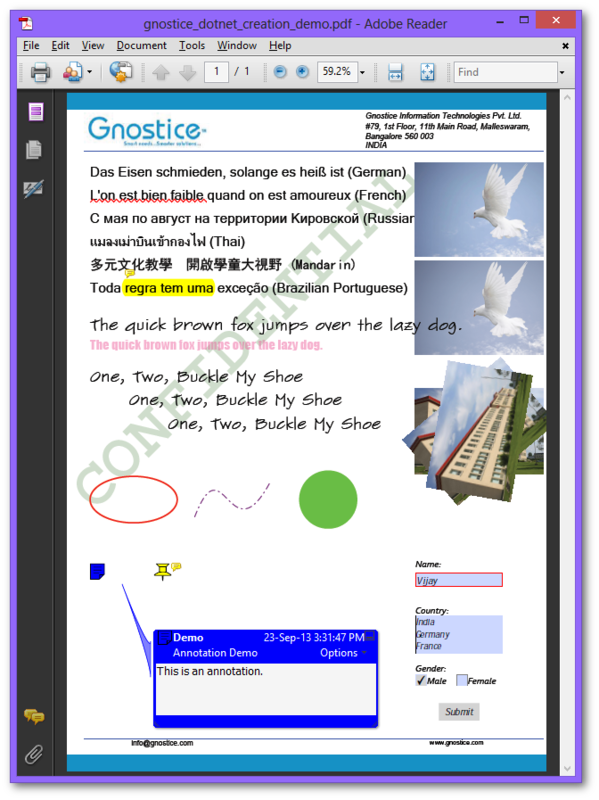 Gnostice PDFOne .NET is a versatile PDF SDK for add PDF-related features to .NET applications. PDFOne .NET can create, edit, view, print, encrypt, decrypt, merge, split, reorganize, bookmark, annotate, watermark, and stamp PDF documents. 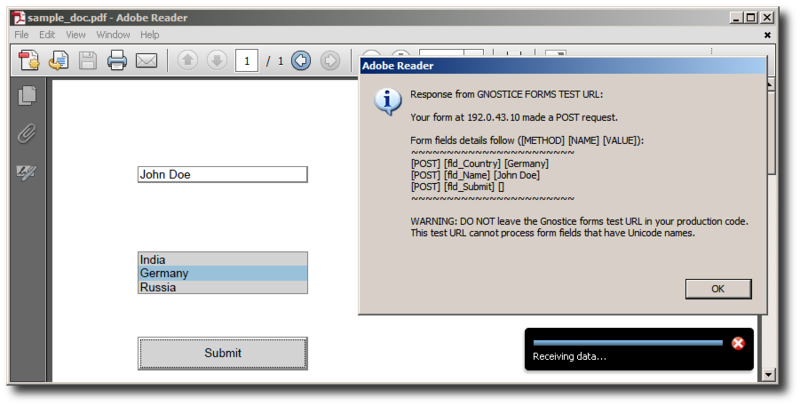 PDFOne can also process PDF forms or AcroForms - create, edit, fill, and flatten form fields. 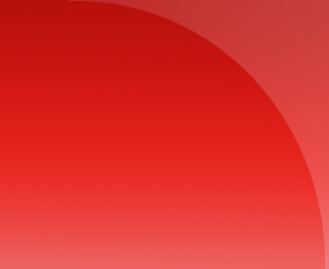 The API hides the complexity of the PDF format and enables developers to quickly implement sophisticated PDF features. PDFOne is entirely self-contained and is written in 100% managed code. It does not depend on external software such as Adobe PDF SDK, GhostScript or FreeType. PDFOne supports .NET Framework 2 and newer versions. 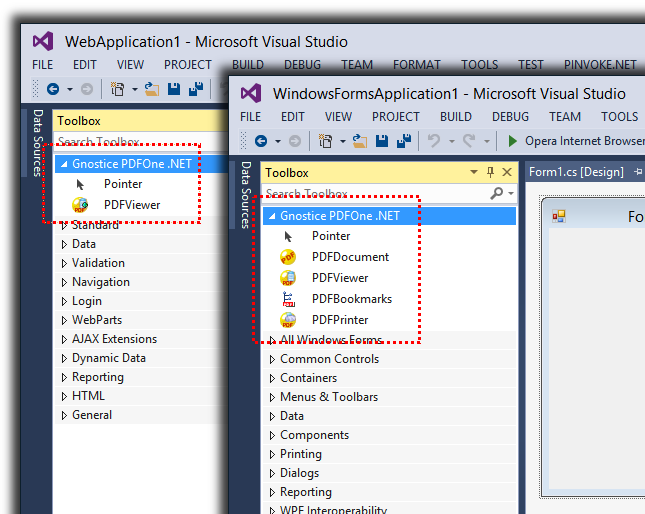 You can use PDFOne .NET in Visual Studio versions 2005, 2008 and 2010. You can use it in ASP.NET and ASP.NET MVC Web applications too. PDFOne .NET has four components. PDFDocument - This is a non-visual component. It represents a PDF document. You need to create an instance of this class to create a new PDF document or to read or modify an existing document. Creating a new PDF document from scratch is simple. PDFDocument can load existing PDF documents and process them. It can iterate through pages and page elements. 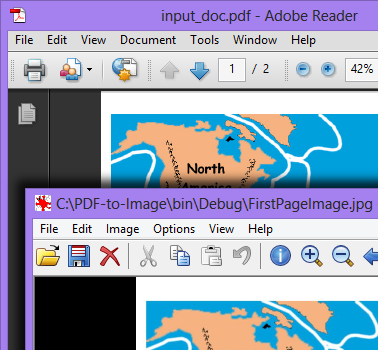 PDFDocument can convert PDF documents to several image formats. 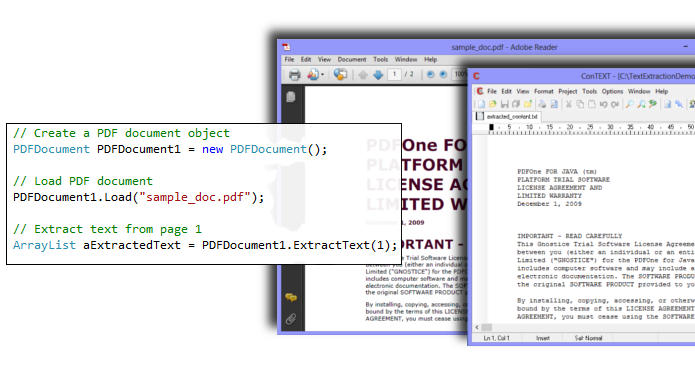 PDFDocument can extract text from documents. With PDFOne, you can enhance your PDF documents with features such as form fields, digital signatures, watermarks, bookmarks, annotations (markups, notes, highlights,...) and stamps. 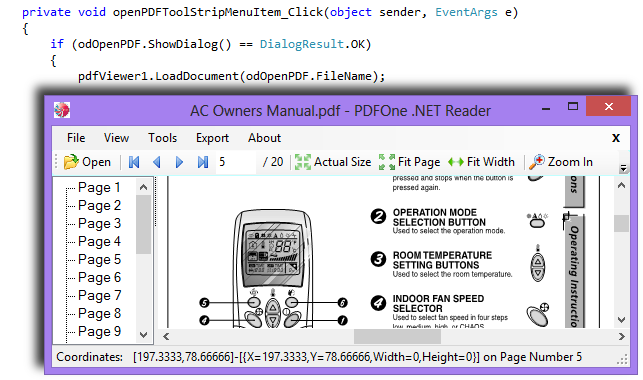 PDFDocument can be used in medium-trust ASP.NET applications. PDFViewer - This is a visual interactive Win Forms component for displaying a PDF document and enabling end-users to interact with it. ASP.NET PDF Viewer - PDFOne .NET has Web Forms and MVC controls to display PDF documents in ASP.NET applications. 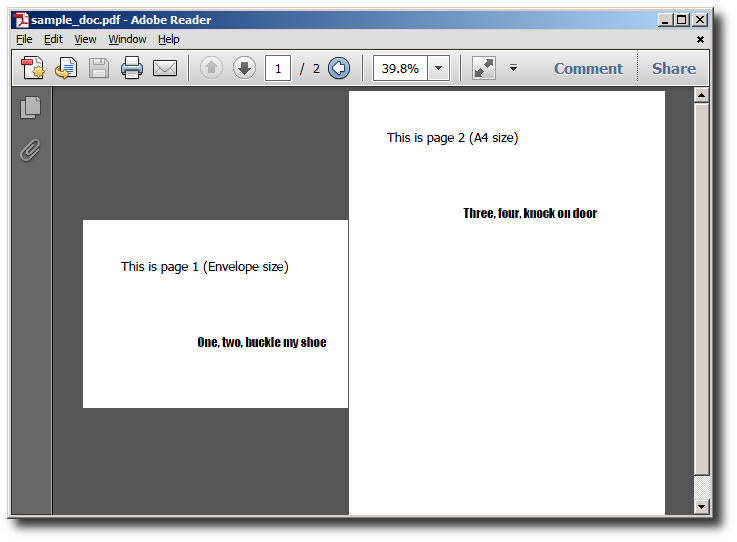 PDFPrinter - This is a non-visual component. It enables your applications to natively print PDF documents. 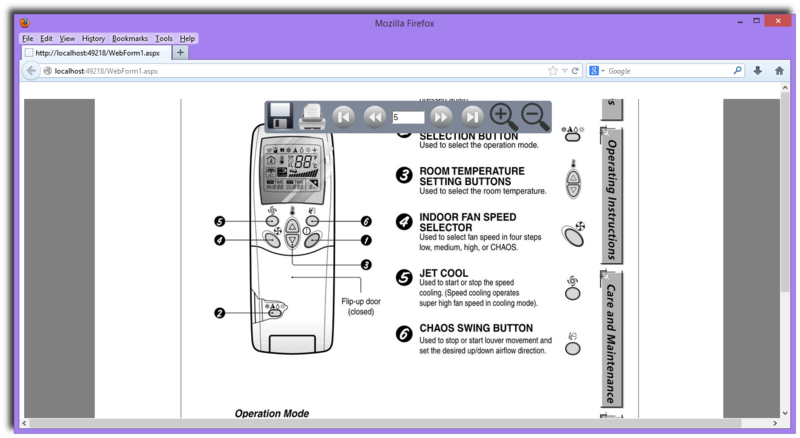 PDFBookmarks - This is a visual interactive component to display PDF bookmarks. It can be integrated with a PDFViewer instance to enable end-users to navigate to destinations in displayed pages. In the assemblies of these components, you will find other PDFOne classes that you will need to use to implement various PDF features. Let us check a few of them. Gnostice.PDFOne.PDFFont: This class represents a font that can be used to render text on a PDF page. For example, you can pass an instance of this class as an argument to one of the overloaded WriteText() methods of PDFDocument or PDFPage. Gnostice.PDFOne.PDFPage: This class represents a PDF page. You can create multiple instances of this class to add multiple pages to a PDFDocument instance. Similar to PDFDocument, this class has page-specific properties and methods that allow you to create new page elements and process existing page contents. Gnostice.PDFOne.PDFFormField: This abstract class represents a PDF form field. You create instances of its derived types to create various types of form fields. By now, you would have had a good feel of the API. You are now ready to learn about all the things that can be accomplished with PDFOne. Please follow the links below for PDFOne features in greater detail. 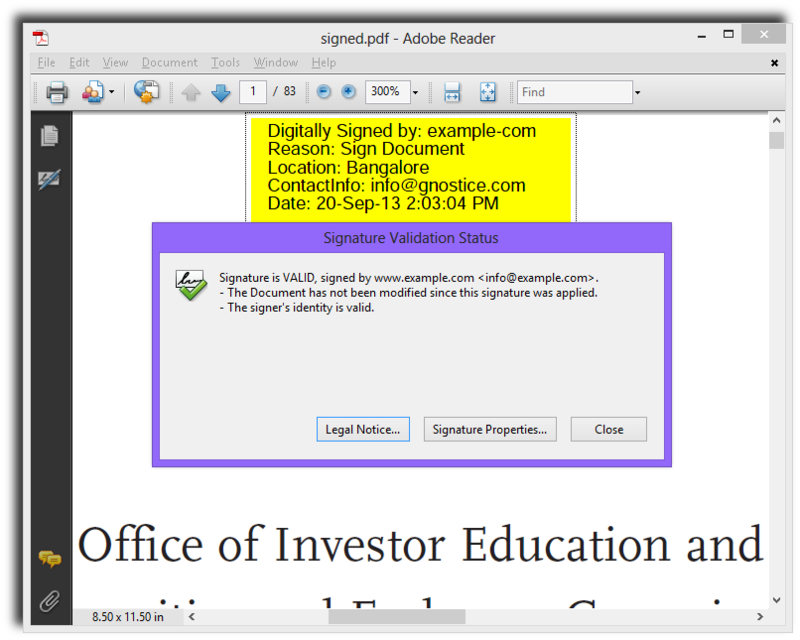 Specify custom appearances for PDF annotations. 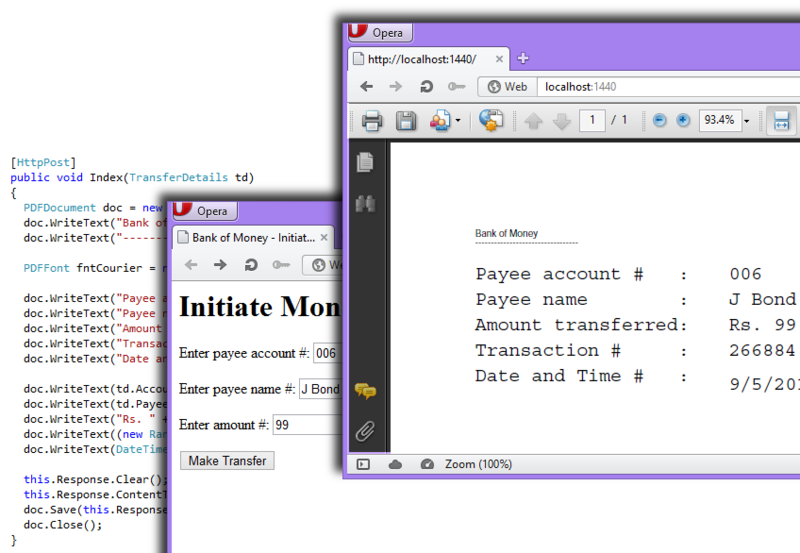 Send dynamically created PDF documents and forms to the browser in Web Forms and MVC applications.